Dallas Roma FC and The Sport Source® are pleased to announce they have joined forces to provide a Members Only College Center to support Dallas Roma FC high school aged student-athletes with college readiness. Less than 2% of all youth soccer organizations offer families any meaningful guidance or support when it comes to college readiness. 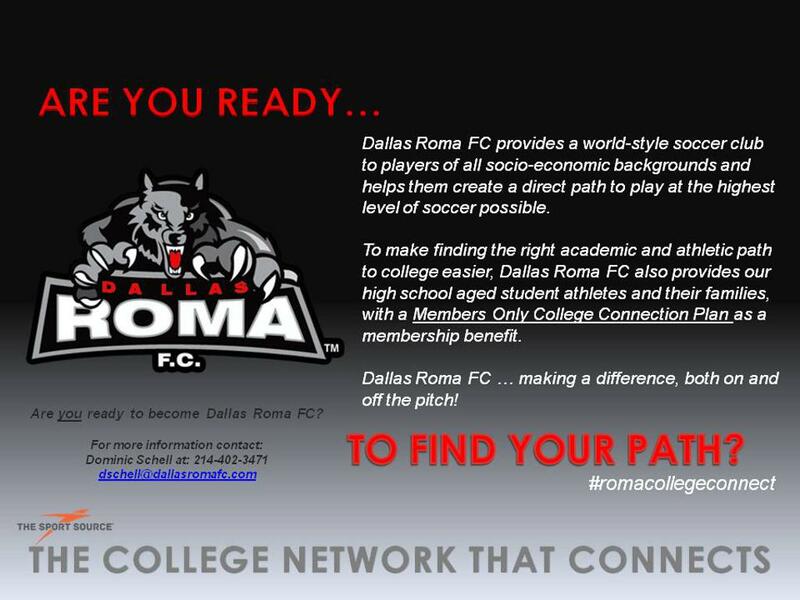 Dallas Roma FC is preparing to provide student-athletes and their families with access to college planning resources and mentor support, to help them create a blueprint for the future. “Every player has a unique set of goals they aspire to, when it comes to continuing their education after high school. That’s why our Members Only College Center includes free mentor support to help families with everything from admissions to financial aid. Student-athletes even have the option to earn 3 college credits, with the HUM100 college area powered by University of Maine – Ft. Kent, if they want to get ahead of the game. Our goal at Dallas Roma FC is to help the kids who play here, plan and prepare for the future as well” said Dominic Schell. “Each year parents spend thousands of dollars on dues, fees, uniforms, travel and more – yet very few soccer organizations support college readiness. 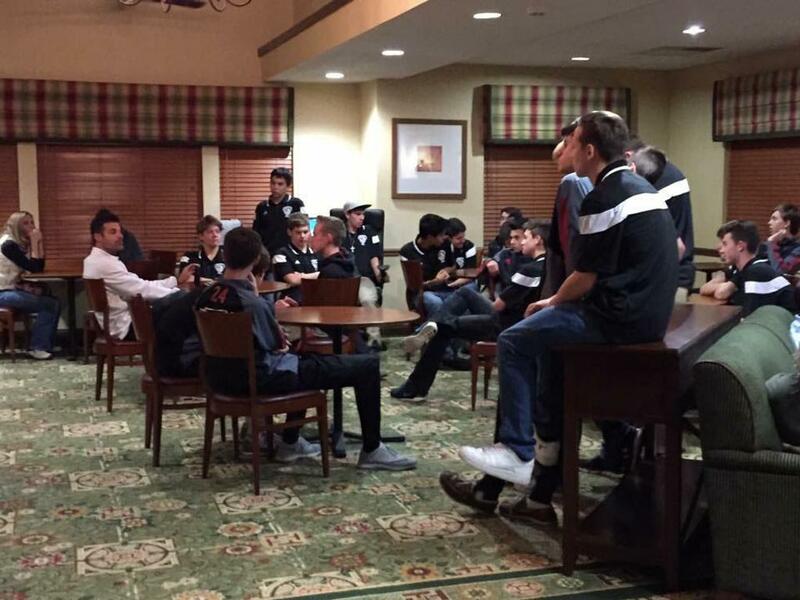 Soccer is more than wins and losses, it’s about helping kids make a college connection, academically and athletically” added Michael Schell. “As a former college and professional player, I tell kids, long after your playing days have come and gone, having earned your college degree is one thing that will last a lifetime. That’s why it’s so important for college bound players to understand all the options available to them, whether they choose to play their sport in college or not. This is one of many reasons why Dallas Roma FC is committed to providing educational resources to our families” commented Dominic. Charlie Kadupski, CEO at The Sport Source®, added: “Organizations like Dallas Roma FC are giving kids an opportunity to pursue a college education, graduate with a meaningful degree and if they choose play college soccer. That’s really what “total player development” is all about. Organizations like Dallas Roma FC are impacting players for life, and we are excited to be part of the Dallas Roma FC journey, added Charlie.